Magnificent magnolia is finally done. I think I’ve been working on it most of the summer. Especially since I did the small study. To be honest, I’ve never done a study before and I really learned a lot. 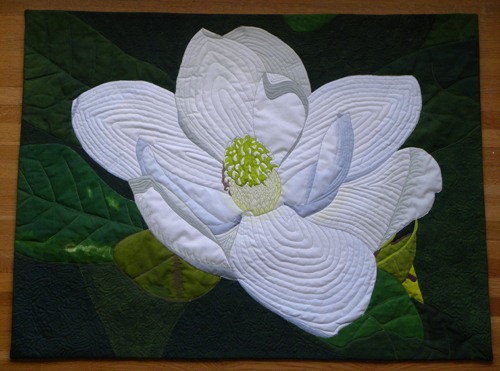 I changed the center area a bit, the paint is lighter and the quilting is more pointy, on the petals the quilting follows the shape of each petal and the leaves are more subtle. I like the center much area better, the detail is more what I was going for. A few important things I learned. 1. TWO AT THE SAME TIME: Work on another piece at the same time. 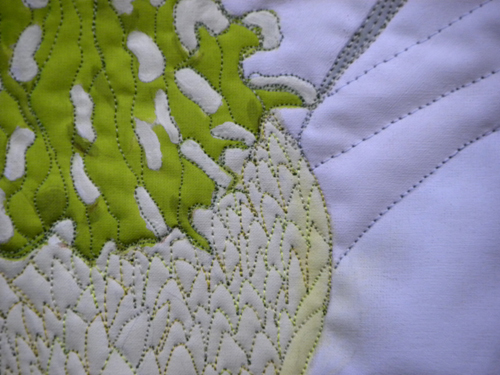 I worked on my lily doing the intense quilting as a warm up for the large piece. 2. YOU’RE COMMITTED: Always do warm up quilting because when you stitch on a painted area you CAN’T take it out. 3. KEEP GOING: I find that I get half way done and I HATE the piece. I think it’s the perfectionist in me but, you must keep working. Keep going and finish. 4. YUCK: I find that I’m never happy with the final piece and want to fold it up and put it away forever. Take some time off from it, look at it in a couple of days. I find I like my work after I’ve had some time off from it. 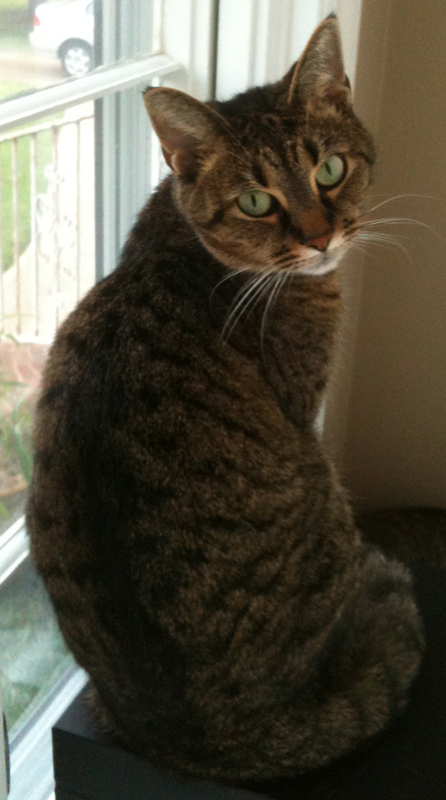 Here’s my kitty girl Daphne. She is the princess of the house and knows it.